Earthquake insurance is normally not included within a standard homeowner’s, tenant’s or condo owner’s insurance policy. It is, however, generally available as optional coverage. Merriam-Webster defines earthquake as: a shaking or trembling of the earth that is volcanic or tectonic in origin; a shaking of a part of the earth’s surface that often causes great damage. Issue: Why is earthquake insurance not purchased? Earthquake insurance is too expensive. There is a growing body of information available regarding the risk of earthquakes in Canada. Earthquakes occur far more frequently that people think. 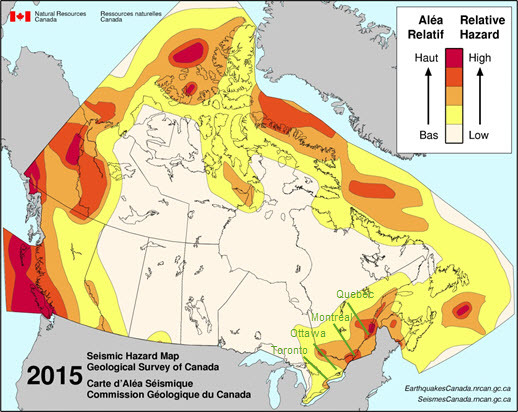 We viewed the “Seismic Hazard Map” and noted that Quebec has high hazard regions. Of particular concern is that some of these high risk areas overlap with higher population densities in southern Quebec. Click the map to see the details of the simplified seismic hazard map for Canada. The Insurance Bureau of Canada (IBC) has identified Quebec and British Columbia as the two provinces where earthquakes are an insurance concern. See the IBC website for further details. Government financial assistance in the event of a major quake? Both the Federal and Provincial governments provide financial assistance in certain disaster situations. Our research indicates that it would be unlikely any level of government would participate in financial relief for private residences. According to the Disaster Financial Assistance Arrangements (DFAA), if insurance coverage is available, the financial assistance program would not respond.  b) costs of restoring or replacing items that were insured or insurable. Under the DFAA, insurable means that insurance coverage for a specific hazard for the individual, family, small business owner or farmer was available in the area at reasonable cost. Reasonable cost and availability are determined jointly by the province and the Public Safety Canada RD, with professional advice as required (e.g., Insurance Bureau of Canada, regional insurance broker). The cost of Earthquake insurance varies by region and by the value insured. Some insurers will also rate the coverage differently based on the construction type of your home. The coverage includes the repair and replacement of damaged property and the additional costs related to temporary living arrangements in the event your home is uninhabitable. Note: Following severe earthquake activity, insurance companies would likely suspend the sale of earthquake coverage for a period of time given typical aftershock activity. This is a difficult question to answer. Earthquakes, particularly those large enough to cause massive damage, are practically impossible to predict. Can you afford not to insure the risk? 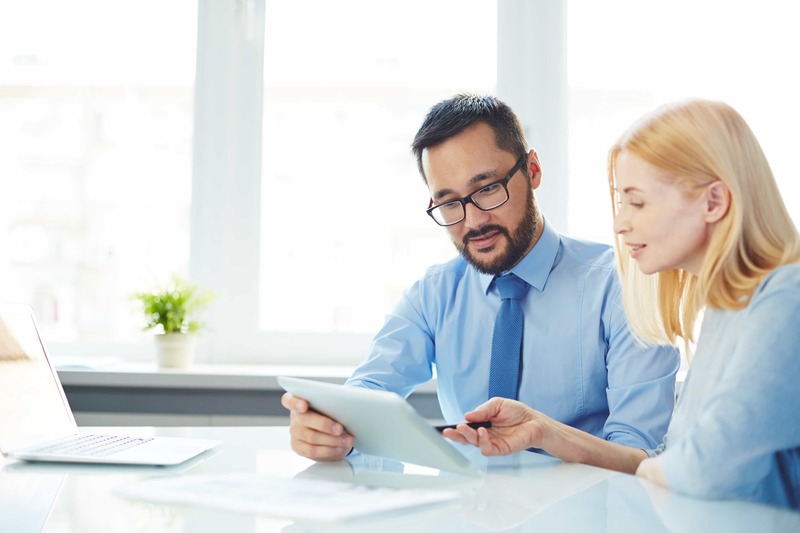 This information is not intended to replace advice by a licensed professional, but is intended as a guide to help you ask the right questions and understand your risk and insurance coverage better, in order to make more informed insurance buying decisions. Insurance policies vary by province and state. In all cases an insurance policy wording is the contract which takes precedence over any other information outlining insurance coverage.